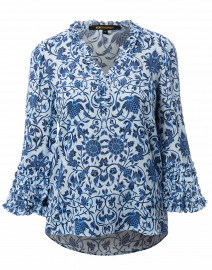 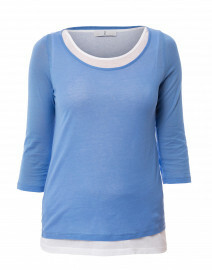 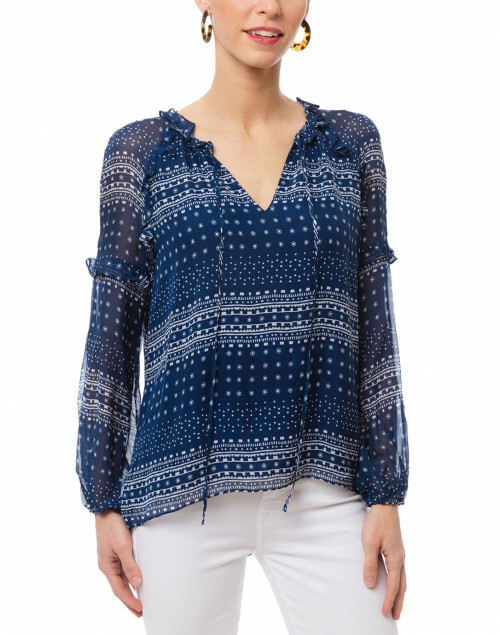 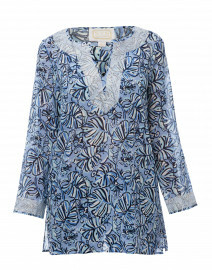 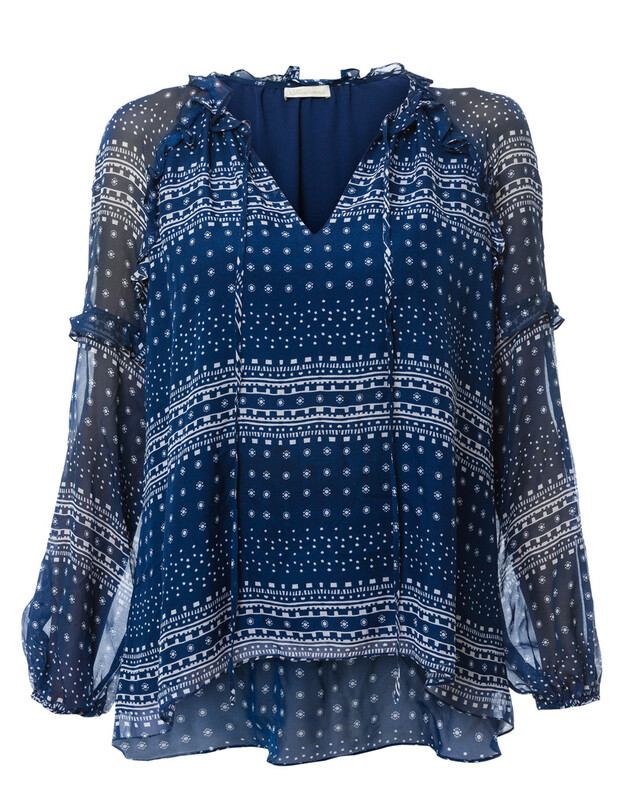 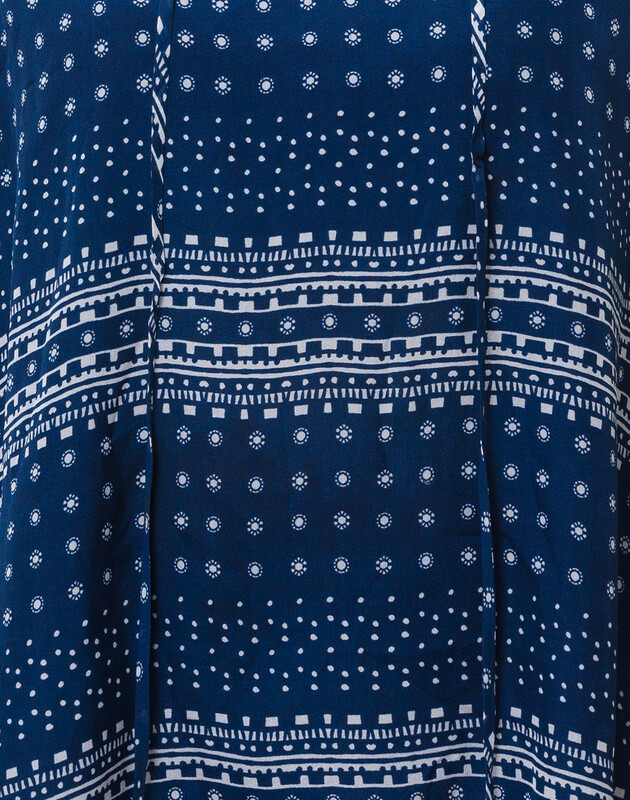 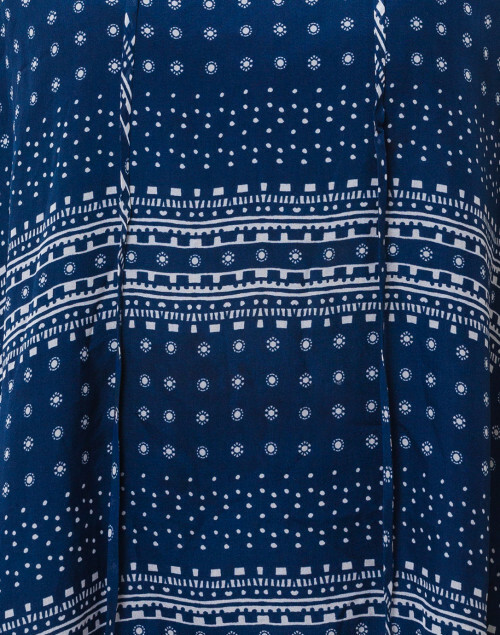 This pacific blue geo printed top demonstrates Shoshanna's skill at creating feminine separates. 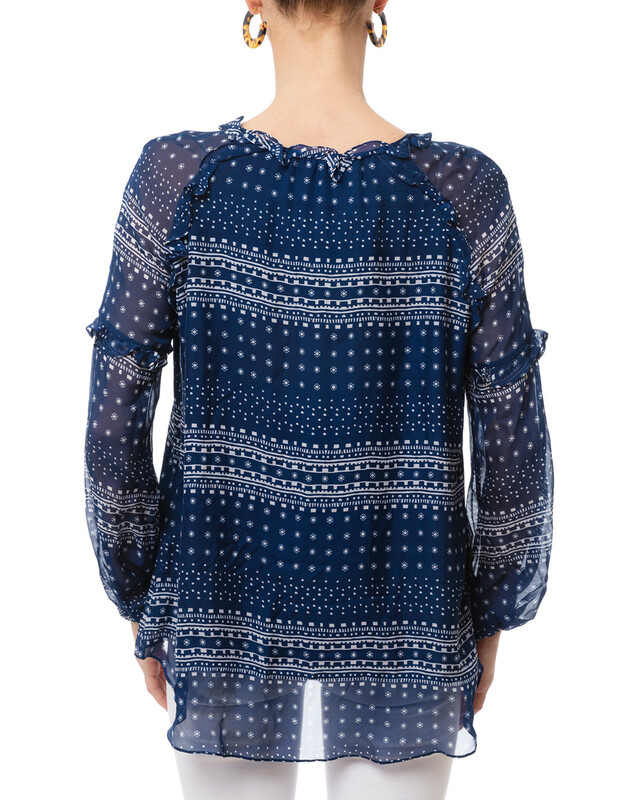 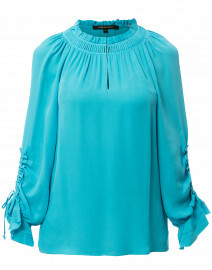 Cut from airy silk chiffon, it features a flattering V-neckline with a self tie detail, and delicate ruffles on long sleeves. 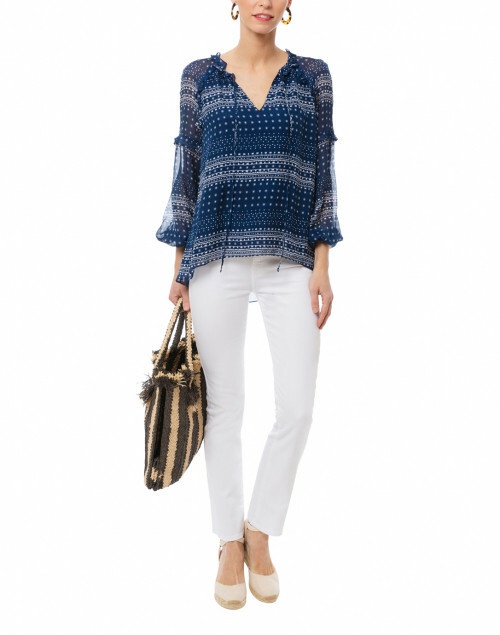 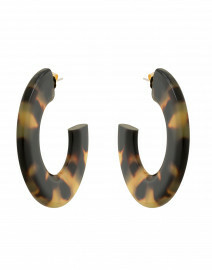 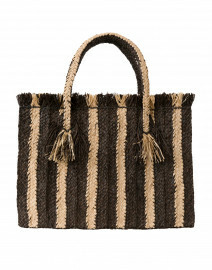 Wear it over white jeans and hoop earrings for a contemporary daytime look.